It’s been a rough week or so for me in the coffee department. There was a time when I could wake up and function pretty well without coffee. I was capable of making it out the door to work on time, working basic math problems, interacting with the general public, you name it. Now the best I can realistically hope for in the absence of coffee is to remember to put on pants before leaving the house. So I always have plenty of coffee in my pantry, both ground and bean-form, ready to go. And while it might seem like addictive behavior to have tons of coffee stockpiled in the cupboard, it’s actually just good sense: I can’t really hop in the car and zip to the nearest donut shop in the event of a household shortage, because I in my pre-coffee state should not, as they say in the pharmaceutical industry, be “operating heavy machinery”. 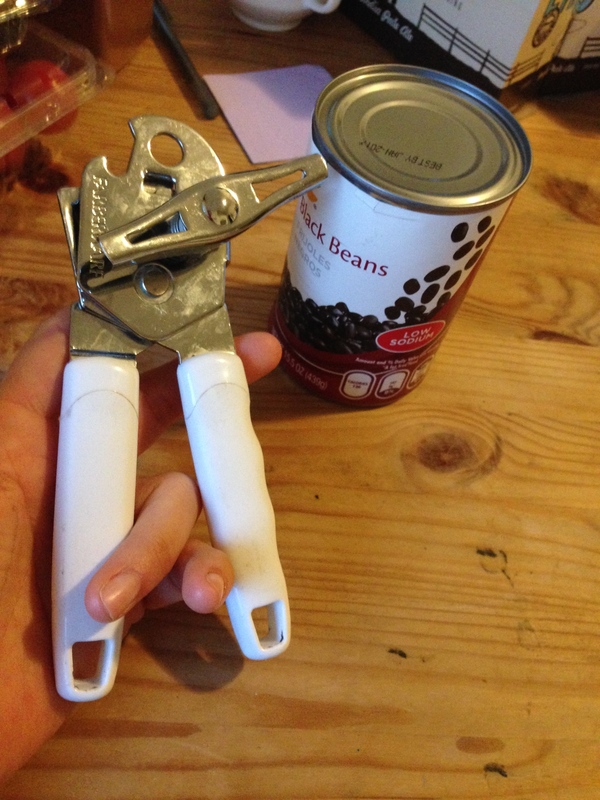 And some mornings a can opener constitutes heavy machinery. On those days, a coffee maker might as well be a particle collider. If I were the representative Australopithecus afarensis and coffee wasn’t happening yet, evidence of tool use by early man would have been delayed by another million years or so. How does this thing work? Which hand do I hold it in? Do I just use it to hit the can until I bash a hole in it? Now, at this point, you are likely already saying, “Hey Jackie, why don’t you just get one of those Kuerig doo-hickeys? Problem solved!” Ah, if only Keurigs were that simple. I rented a room from a married couple at one point, and the husband was quite passionate about his coffee. He had several types of rather bewildering brewing apparatus, but his go-to for an average Tuesday cup-o’-joe was a Keurig. This was before I had my own coffee maker-my beautiful, perfect Mr. Coffee-and several were the times that Joseph came into the kitchen to find me staring forlornly at the Keurig having failed to get it to give me coffee. Sometimes I was holding a cup 1/8 full of strong coffee. Other times just water. There was the incident when I couldn’t get the little coffee capsule into the stupid holder correctly and was trying to just hold the lid-thing shut. One time I was repeatedly plugging and unplugging the whole machine, hoping to reset whatever I had assembled and/or programmed incorrectly. Now in my defense I would like to say that I can assemble a portable dredge pump. I rigged a pulley system to get my queen-sized mattress up through the second floor porch window the last time I moved. I can do some pretty sweet stuff with a spreadsheet. I can do all those things, after I have had a few cups of coffee.